In this compelling book, Colin Wilson argues that thousands of years before ancient Egypt and Greece held sway, there was a great civilization whose ships traveled the world from China to Antarctica. Their advanced knowledge of science, mathematics, and astronomy was passed on to descendants who escaped to Egypt and South America. From Atlantis to the Sphinx bases this assertion on a true fact: that archaeologists and geologists are at odds over the age of the Sphinx. Archaeologists claim that the Sphinx dates to classical dynastic Egypt, around 2,400 b.c. But some geologists claim that it could have been built as early as 7,000 to 10,500 b.c. The geologists' claim is based on the curious fact that the erosion of the Sphinx is more characteristic of water erosion than that of wind and sand. Starting from the assumption that there was an advanced civilization in existence much earlier than previously thought, Wilson goes on to claim that it could very well be Atlantis--not a literal island that sank, but more of a great civilization that either declined naturally or experienced a great catastrophe, passing on only a fraction of its knowledge to other peoples. 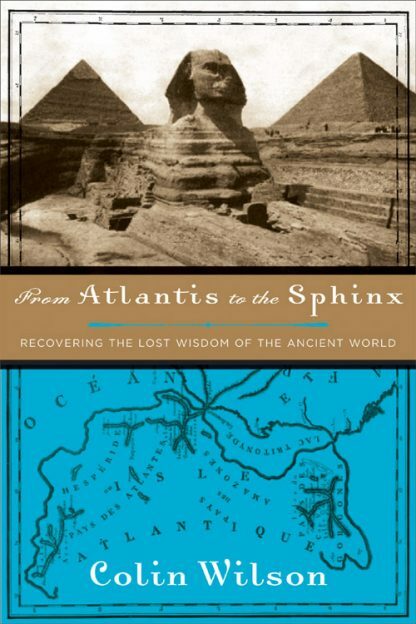 From Atlantis to the Sphinx delves into what might have been a completely different knowledge system from that of modern man--one as alien to us as that of the Martians. The book sets out to reconstruct that ancient knowledge in a fascinating exploration of the remote depths of history, a ground-breaking attempt to understand how these long-forgotten peoples thought, felt, and communicated with the universe.